When it comes to female MCs, garnering comparisons to the likes of Trina — especially if they’re from the south — isn’t that telling. Earning and owning comparisons to Pimp C though, is something that peaks interest. However, when Q-Tip himself says someone puts him in mind of Nas, that’s when it’s time to stop and listen. Having recently signed to 300 Entertainment as the imprint’s first female act, Houston’s very own Megan Thee Stallion is forcing heads to do just that —— listen! “He’s an OG … knowing that he wanted to meet up with me blew my blew my mind,” the 22-year-old tells HipHopDX about meeting Q-Tip, adding that he (since that meeting) has called her to offer motivation. 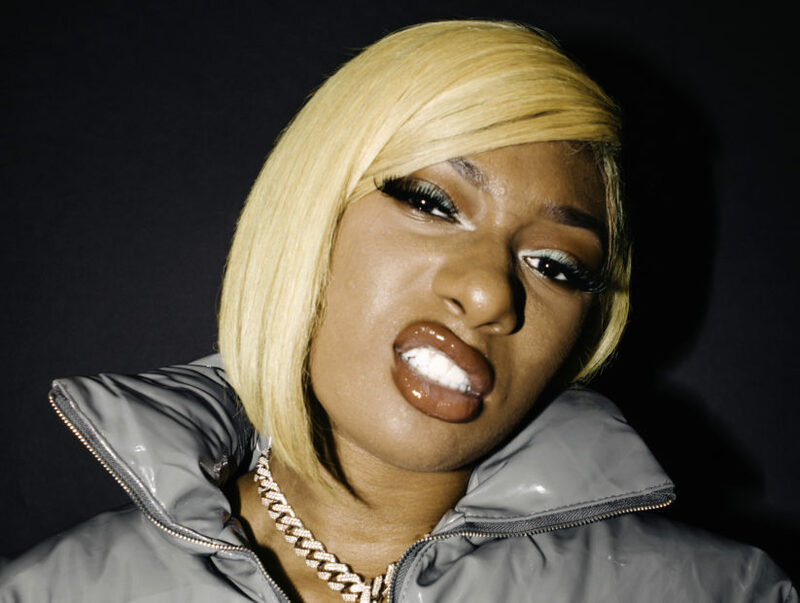 She doesn’t completely dismiss any future collaboration with the legendary MC as he enters the next stage of her career. “Coming out here to New York from Houston to sign with 300, as the first rap female rapper that they signed, is very exciting,” she says, speaking from her hotel room in New York City. As a full-time student actively pursuing a degree in Health Administration, she revealed in an interview this past July that she was starting to have trouble balancing her education and career. “I’m not gonna lie, I would not be making it without the help of my classmates,” she says with a laugh, adding that this career-defining moment won’t stop her from completing her final semester. “[But] I’m struggling,” she adds. It’s understandable, especially given the rapid acceleration her career has taken since she dropped her most recent project, Tina Snow, this past summer. With her 300 deal wrapped up, she’s now looking ahead to the follow-up, Fever. Megan is sharing her excitement with her mother, who she says was a major motivating factor that pushed her towards music — as an MC herself. Having introduced her to studio life at a young age, she now works as Megan’s manager. With no set date for Fever, Megan does reveal that the video for her bubbling Tina Snow standout “Big Ole Freak” is dropping (very) soon. But knowing that she prefers the element of surprise, fans should expect the unexpected. “I just want people to know that I’m a strong woman and I’m very positive … I want people to understand that I’m trying to put that onto my listeners,” she says. For more information on Megan Thee Stallion’s come up, follow her on Instagram @theestallion.